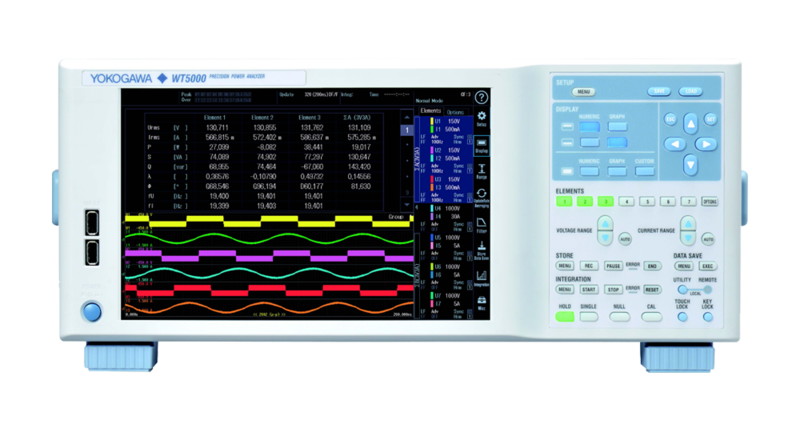 The WT5000 is the world’s most accurate precision power analyzer with a basic power accuracy of ±0.03%. Its accuracy specifications are guaranteed from 1% to 130% of the selected voltage and current ranges. With minimum influence of low power factor (0.02% of apparent power) the unit is also accurate at large phase shifts and frequencies. Measure from up to 7 different power phases at 10 MS/s (18 bits). 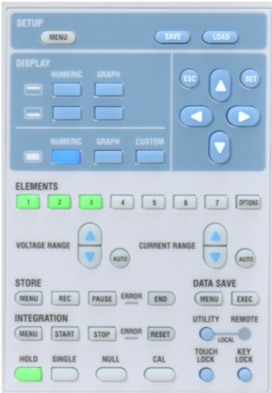 The high resolution, 10.1 inch WXGA display allows split screen viewing of up to 7 waveforms and can display up to 12 pages of diverse measurement parameters, making it ideal for efficiency tests of inverter driven motors, renewable energy technologies and traction applications like pumps, fans and electric vehicles. Measurements are also displayed in vector format or trending in time. Operable by touch and/or hardware hot-keys independently, the WT5000 offers a seamless and intuitive experience that makes connecting, configuring and measuring easier than ever before. The 10.1 inch WXGA touchscreen delivers excellent noise immunity even in high noise environments such as motors and inverters. 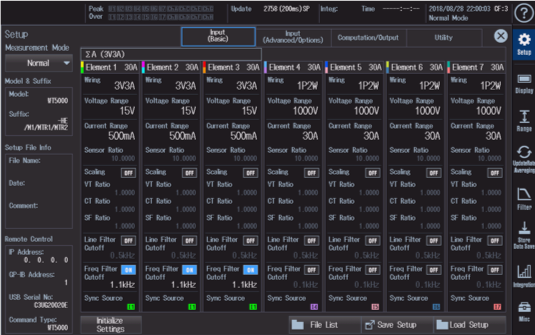 In addition to low pass frequency filters and line filters, the WT5000 features advanced filtering capabilities that provide unprecedented control to analyze even the toughest of waveforms with precision. 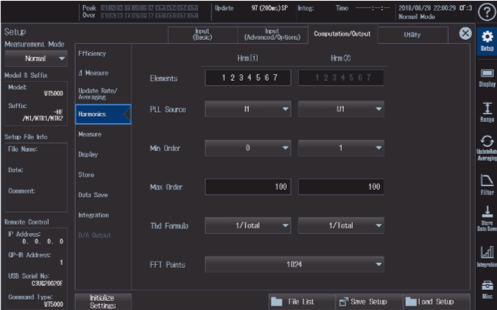 Synchronization source filter: Instead of synchronizing to zero crossings, users can select any specific point of the synchronization source signal. 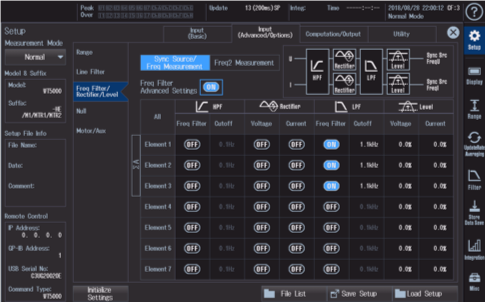 Enhanced frequency filter: Allows users to simultaneously measure fundamental and switching frequencies without influencing any other parameter. 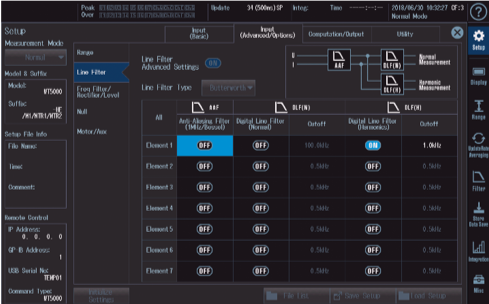 Digital Parallel Path filters: Supported by a high frequency anti-aliasing filter, two separate line filters for normal and harmonic measurements ensures accuracy without aliasing in wide band and harmonic measurements. Users can limit the number of harmonic orders to eliminate attenuation in low bandwidth measurements. Evaluate and compare input and output harmonics of inverters, motors or power conditioners up to the 500th order. The WT5000 allows users to not only measure harmonics and power simultaneously but also offers side by side comparison of harmonics from two different input sources. 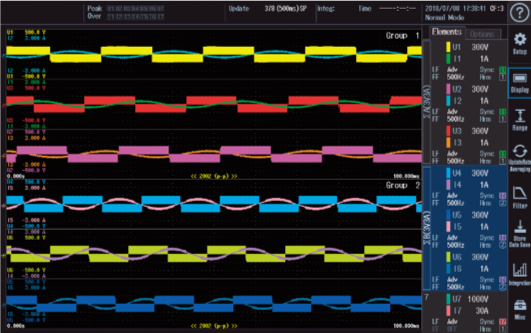 The effects of noise and aliasing are minimized by antialiasing and line filters with Digital Parallel Path technology allowing simultaneous power analysis of wide band and narrow band components. Define and use event triggers and custom computations as per application needs. 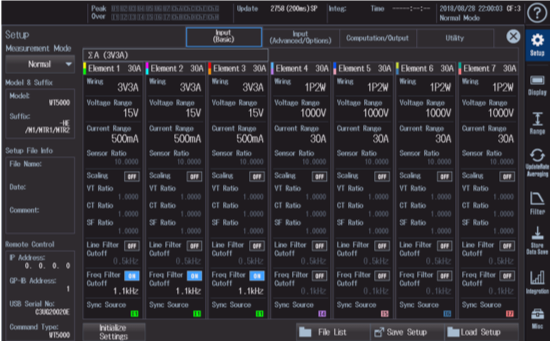 The event trigger function allows users to set limits to capture readings that fall within or outside a specific range of power, current or other parameters. 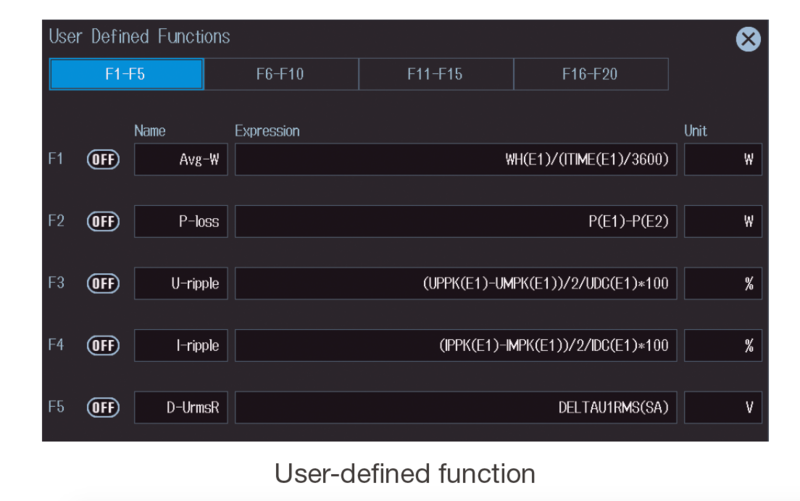 Users can also define and use up to 20 different expressions for custom calculations. Data that meets the trigger conditions can be stored, printed, or saved to a USB memory device. Between 16 to 18% of the total charge of an electric car is consumed by electric drive system losses. Electric and hybrid car manufacturers therefore need to accurately evaluate motor and inverter control in order to achieve higher precision and greater efficiency. 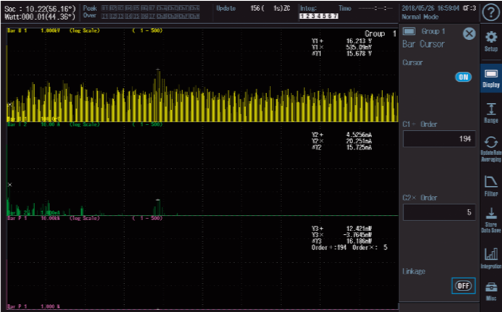 Additionally, the accurate analysis of inverter waveforms without interference from switching noise is a key part of evaluating the motor drive circuit. 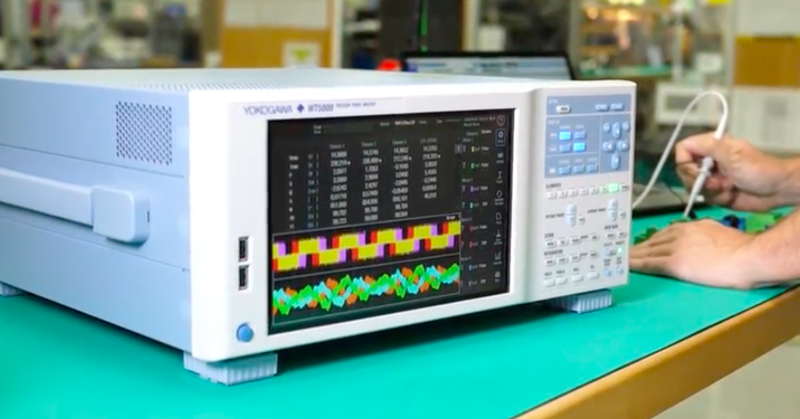 With high accuracy, multi-channel power measurements, evaluation of up to 4 motors and harmonic comparison capabilities, the WT5000 helps automotive engineers improve conversion efficiency, shorten charging times and improve driving range. It enables simultaneous measurements of voltage, current, power, torque, rotation speed, electrical angle and mechanical power. Measure rotation speed, torque, and output (mechanical power) of motors from analog/pulse inputs of rotation or torque sensors. 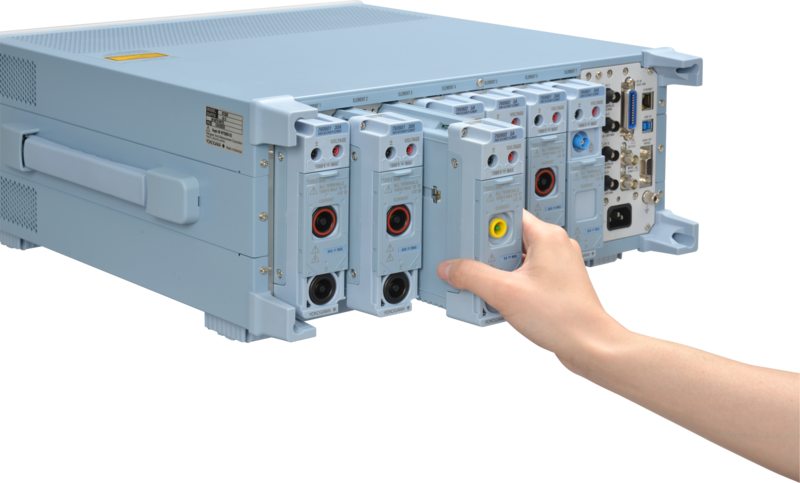 A single WT5000 can be configured for synchronized measurements from up to 4 motors simultaneously. Integration of Instantaneous positive and negative values of energy allows the evaluation of battery charging and discharging characteristics. 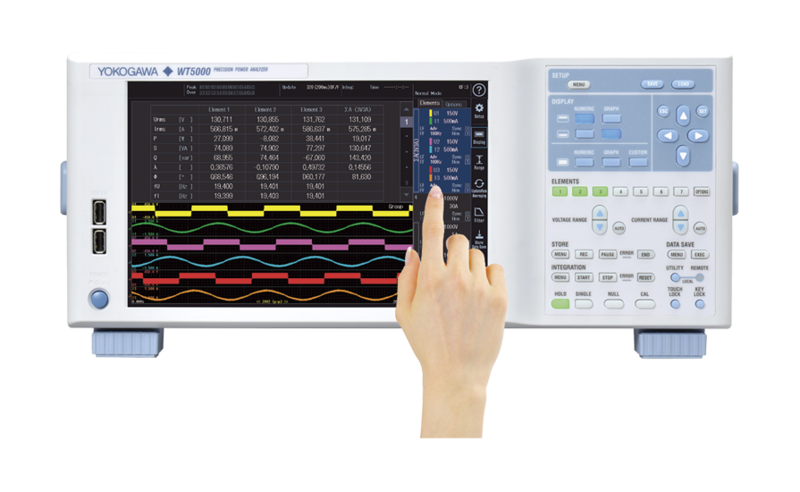 With the ability to measure harmonics up to the 500th order even at low rotation speeds, the WT5000 supports harmonic analysis without the need for an external sampling clock. Energy generated by photovoltaic cell modules and wind turbines is converted from DC to AC by a power conditioner. Minimizing losses in these conversions is key to improve the efficiency of the overall energy system. WT5000 helps engineers working in the development of renewable energy solutions, to improve conversion efficiency by offering precision insights in charging, discharging, storage and overall efficiency. Evaluate Power conditioner efficiency with simultaneous measurements from the inputs and outputs of boost converter, inverter, and storage battery. 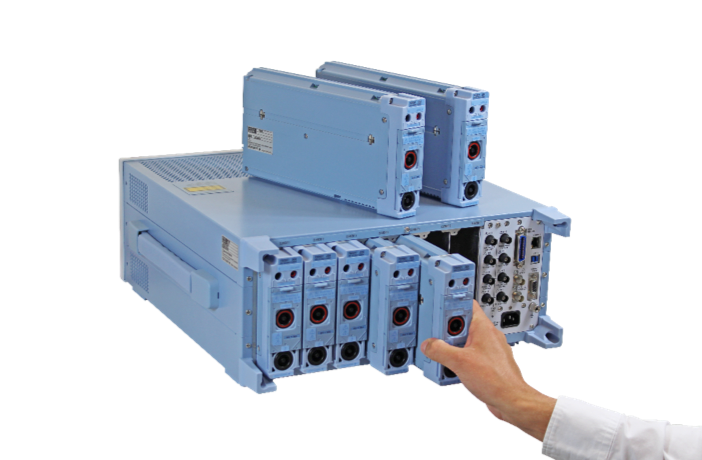 With measurement capabilities from up to 7 input elements the WT5000 is ideal for voltage, current, power, and frequency (for AC) before and after each converter, as well as converter efficiency and charging efficiency. The WT5000E provides a current integration (q), apparent power integration (WS), reactive power integration (WQ), as well as effective power integration capable of integration in the power sold/bought and charge/discharge modes. 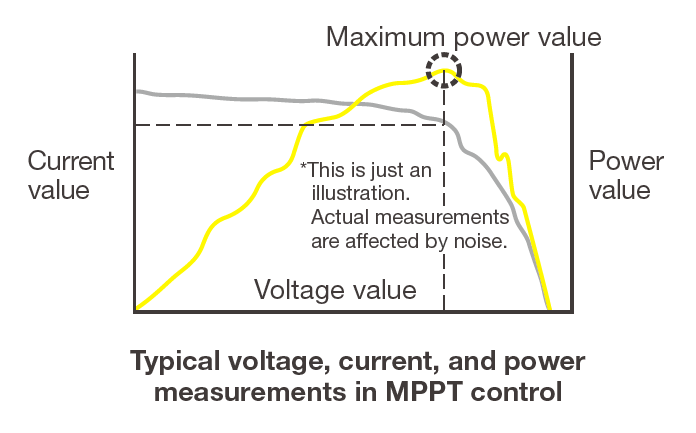 Voltage fluctuations and harmonics flow into the power systems due to reverse power flow. The harmonic measurement function enables measurement of harmonic components to compute and display total harmonic distortion (THD) and harmonic distortion factor. Motor drive technology has become more complex in recent years, pure sine-wave PWM is less common, and cases where the mean voltage differs greatly from the fundamental voltage waveform, are more frequent. With high accuracy, multi-channel power measurements, motor evaluation and harmonic comparison capabilities, the WT5000 helps engineers in motor and drive development to improve power consumption and conversion efficiency in inverter/motor drive systems. The WT5000 guarantees a basic power accuracy of ±0.03%, between 1% to 130% of the selected voltage and current measurement ranges, at 50/60 Hz. In addition to computing power conversion efficiency of inverter and motor (up to 7 power inputs), the WT5000, also allows the measurement of rotational speed, torque, and output (mechanical power) from the analog/pulse inputs of rotation or torque sensor. 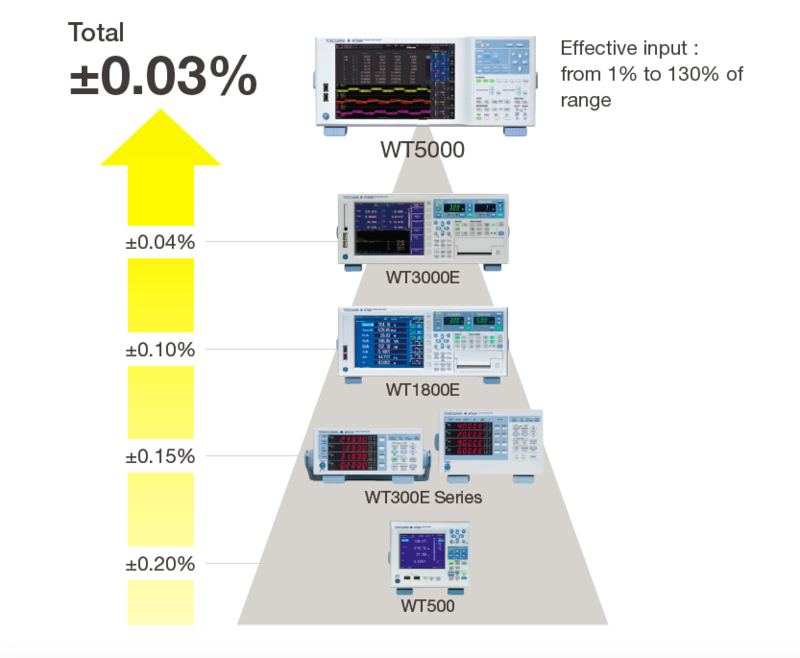 With the ability to measure harmonics up to the 500th order even at low rotation speeds the WT5000 supports harmonic analysis without the need of an external sampling clock. In transformer or reactor development, the WT5000 can be used to evaluate magnetic material characteristics using Epstein frame system. High precision measurements of primary coil current and secondary coil voltage is needed. High accuracy in low power factor is needed. The magnetic flux density B and AC magnetic field H are key parameters to calculate iron loss. Ein Set mit 0,8 m langen roten und schwarzen Messleitungen für den Einsatz in Kombination mit einem Paar optionaler Krokodilklemmen 758922 oder 758929. Spezifiziert für 300 V. Passt zu den Messleitungen 758917. Paarweise erhältlich. Für eine Verbindung des externen Eingangs des WT3000 mit dem Stromsensor.